Midway through the year we drove Hyundai’s Ioniq during early-stage testing on Australian roads. Now the eagerly awaited Hyundai is going on sale Downunder. It is offered in pure-electric and petrol-petrol-electric variant. The flagship Ioniq Electric has a real-world, pure-electric range of 230 km and the capability for charging its high-voltage lithium-ion polymer battery to 80 percent capacity in approximately 23 minutes. It is priced from $44,990. 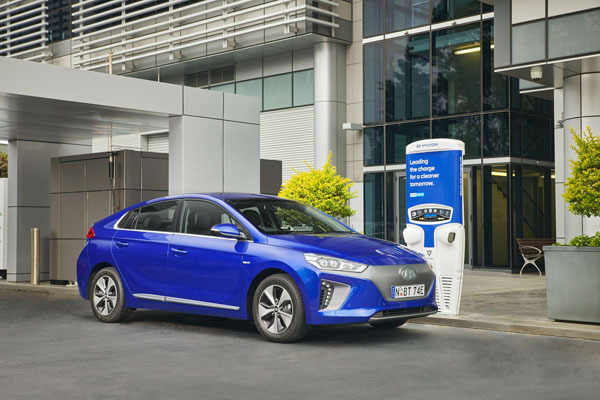 The 2019 Ioniq Plug-in combines a petrol engine with an electric motor. It can make electric-only trips of up to 63 kilometres and has the option for easy overnight charging of the high-voltage battery. Recommended retail is $40,990. 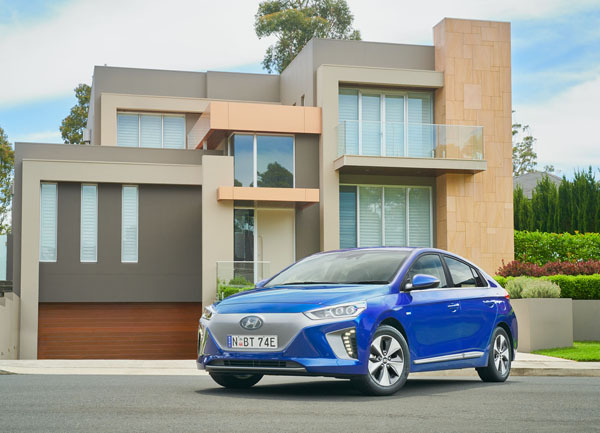 The 2019 Ioniq Hybrid is a significantly lower cost model – from just 33,990 – which is powered primarily by a petrol engine power, with a battery-powered electric motor providing assistance as required. Regenerative braking allows the hybrid system to recover much of the kinetic energy that is lost in conventional vehicles, using it to charge the high-voltage battery. 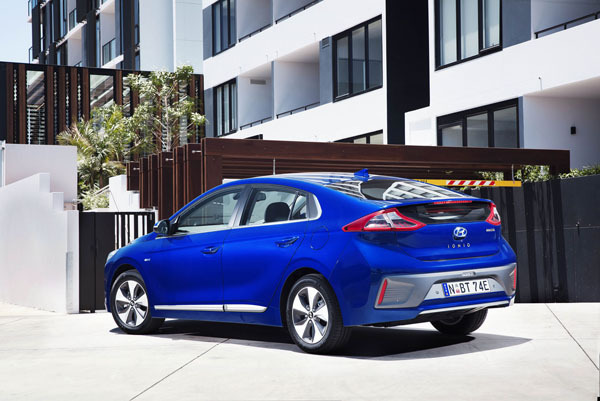 Every 2019 Hyundai Ioniq is available in Elite and Premium trim levels, and each boasts safety, convenience and driver appeal familiar from Hyundai’s conventional-engine line-up. We will arrange test drives of several models and provide details and our opinions shortly afterwards.